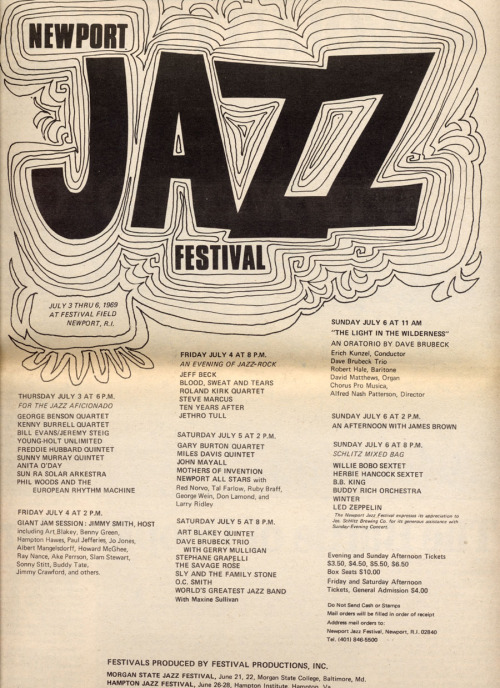 My first day at the Newport Jazz Festival in 1969 included Anita O’Day. If you saw the lineup for the festival you might understand why I forgot (!) her performance. Well. There it is. To me, it beat Woodstock (two weeks later) hands down. But then I saw Hendrix 2 years earlier. In 1957 a fashion photographer shot a documentary about that festival. It is truly a work of art that every music lover should see. The clip below is from that movie. Thank God the abortionists stayed home on this day in 1919. You have been blessed to be in the right spot at the right time so often, Fritz. The’69 Newport was one of the greatest festival line-ups ever. Anita O’Day was an amazing talent, unfortunately overlooked by many jazz historians. The poster of the video on Youtube was mistaken. It was the 1958 festival. The whole movie is at: https://www.youtube.com/watch?v=NSkiK6iRtoo.